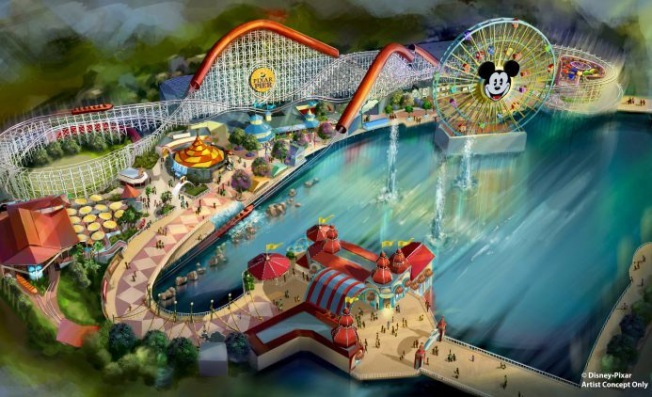 Disney fans say farewell to California Screamin' and other rides as California Adventure looks to transform Paradies Pier into a Pixar-themed land, the parks announced Thursday, Nov. 2, 2017. Monday was the end of an era for Disney California Adventure as the Anaheim park said farewell to its coaster California Screamin' to make way for a Pixar-themed ride. That meant shutting down the popular coaster, as well as other attractions, in order to make the changes. The "Incredicoaster," and "Incredibles" themed ride, is part of a transformation of Paradise Pier into Pixar Pier, according to the Disney Parks Blog. There will also be four new "imaginative neighborhoods," new entertainment, foods, drinks and stuff to buy. The Pixar-specific village will debut during Pixar Fest, an event that kicks off April 13, 2018. The revamping of the coaster comes just ahead of "The Incredibles 2" hitting theaters in June 2018. 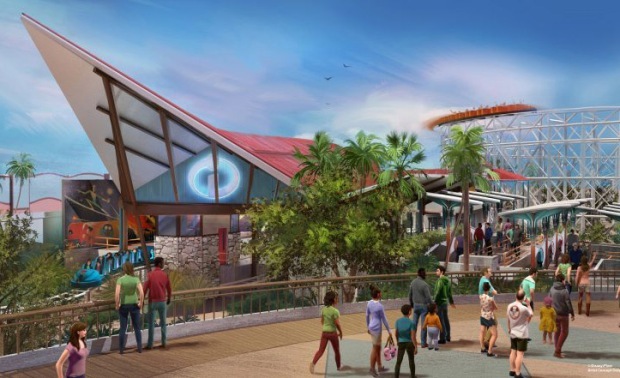 The Incredicoaster will feature new special effects, music, and new scenes. But wait - there's more. Buzz and Woody fans can start getting excited as well. One of the four new "neighborhoods" at the park will be "Toy Story Mania!" An "Inside Out" neighborhood will also have Disney fanatics jumping for "Joy." In preparation for all the big changes, California Screamin', along with Mickey's Fun Wheel, Games of the Boardwalk and Sideshow Shirts, closed Monday, Jan. 8. "Little Mermaid" fans also said goodbye to Ariel's Grotto restaurant as well as the Cove Bar. They'll be transformed into a Pixar lounge. But those aren't the only changes. Paradise Gardens, Silly Symphony Swings, Jumping Jellyfish, Goofy's Sky School, Golden Zephyr and The Little Mermaid ~ Ariel's Undersea Adventure will all be revamped into the new village called Paradise Park.